A variegated patchwork of fairytale cities, bustling ports and cinematic mountains, Morocco draws visitors in with a distinctive culture and dazzling year-round sun. 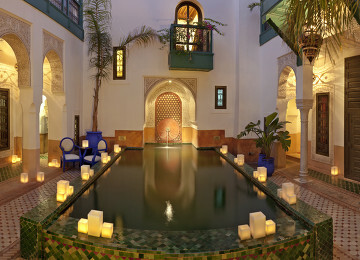 Its handicraft-laden souks, atmospheric medinas and breezy coastal cities pack a heady dose of historic allure, but its boutique riads and rural hideaways have wholeheartedly embraced a contemporary take on hospitality. Decked out with rooftop terraces, shaded courtyards and Instagram-worthy pools, these elegant retreats know how to pamper and spoil. 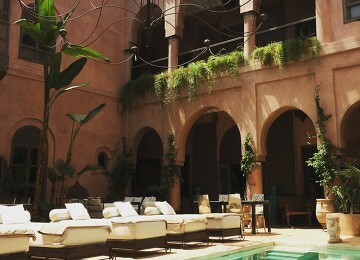 A maze of meandering streets and bustling souks, colourful Marrakech is a haggler’s haven. 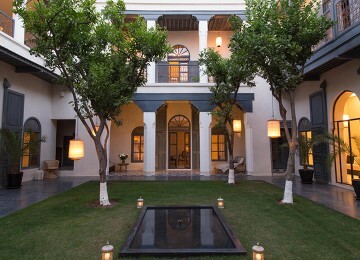 It’s a soulful, cosmopolitan capital, where weary travellers can find solace in bijou riads and exotic boutique hotels. Less visited than Marrakech but just as captivating, its name alone evokes exquisite minarets, labyrinthine souks and spice-scented alleys. 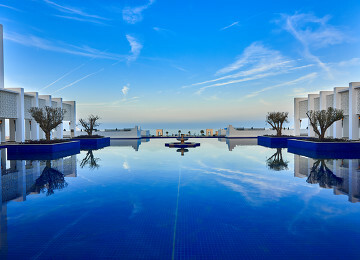 Raw, authentic and magnetic, Fes offers a taste of traditional Morocco. A sleepy coastal town for much of the year, windswept Essaouira transforms in spring and autumn into one of Morocco’s most charming destinations, where the slower pace of life calls for gentle medina strolls and leisurely sampling of the catch of the day. A landscape of bloom-filled valleys and serpentine canyons, the Atlas Mountains are blessed with breathtaking views in addition to peaceful retreats, secluded Berber villages and indulgent spas. A peaceful respite from the hustle and bustle of Morocco’s lively cities, the dramatic and diverse Atlas Mountains are a truly tremendous area of Morocco that simply cannot be missed. Trekking amongst the mountain range’s deep valley and traditional Berber villages is a truly unforgettable experience.